Blushes are my favourite part of makeup and my look is never complete without a healthy dose of colour on my cheeks. For a blush to look natural you really need to blend it in nicely and I missed brushes a lot. 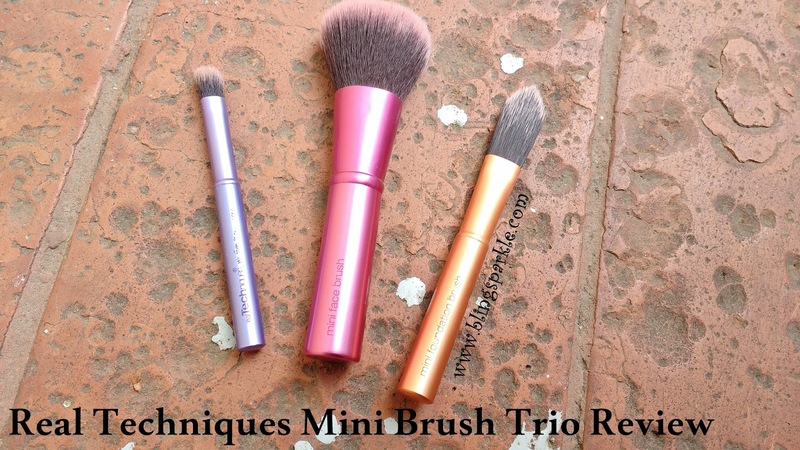 Recently there was a wedding in my family and for flawless makeup touch ups during the wedding I decided to invest in a travel brush set from Real Techniques - the mini brush trio. Today I will be reviewing the brush kit here. 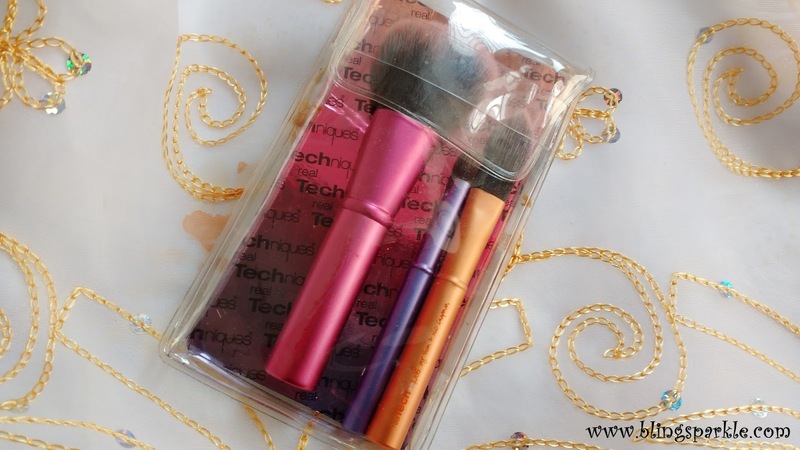 The brushes comes packaged in a plastic transperent pouch which wont take much space in handbags and can be be easily carried around. 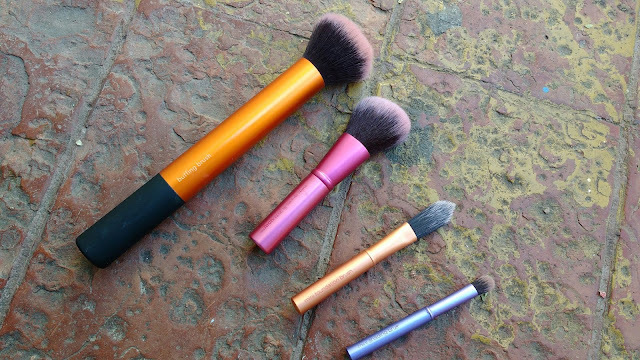 The pouch infact fits into most of my clutches also and the brushes never tumble out of the pouch keeping making them super travel friendly. 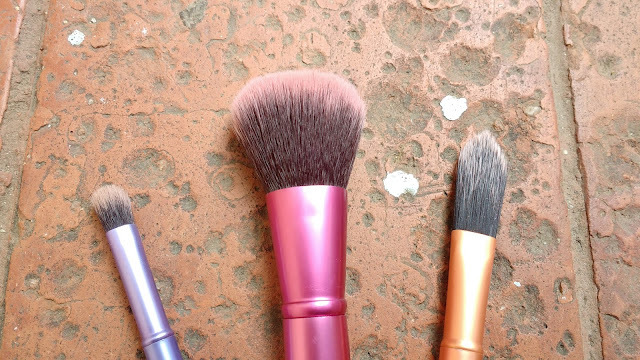 I love how beautifully Real Techniques have colour coded the brushes in the kit: pink for face brush, yellow for foundation and purple for eye shadow. Like I mentioned above I brought this brushes kit specially for the face brush to apply blushes on the go but this kit has two other brushes and all of these are sized almost half of the normal real technique brushes. Mini versions look very cute but mostly fail when it comes to living up to standards but that is not the case with this RT mini brush trio. I am in love with this pink cutie brush which is perfect to apply and blend blushes. 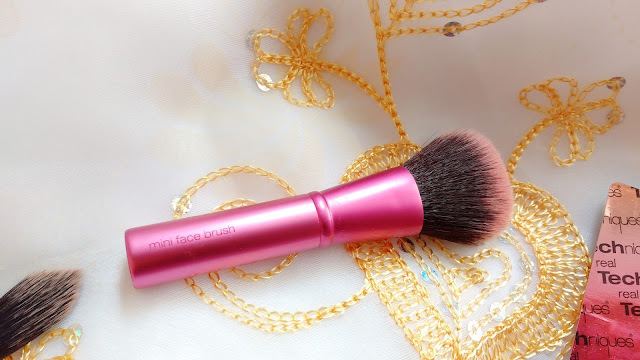 Being a face brush you can also use this to apply cream foundations and powder on your face but I use it only for applying blushes on the go as I dont powder my dry skin much. Also you definitely can use the same brush to apply foundation, then blush and then powder your T zone too. 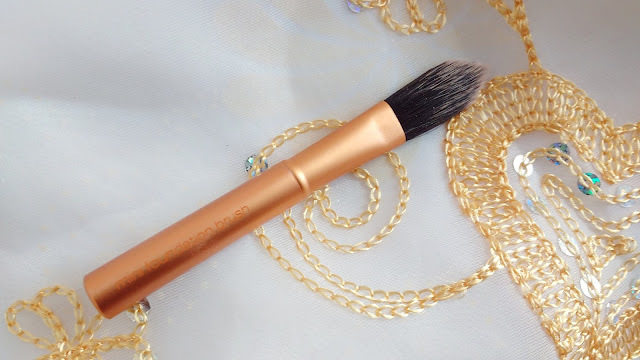 If I am using a cream blush which I blend with my fingers I use this mini face brush to powder my oily T-zone. The bristles are super soft and dont shed after washing so, this is perfect quality wise. 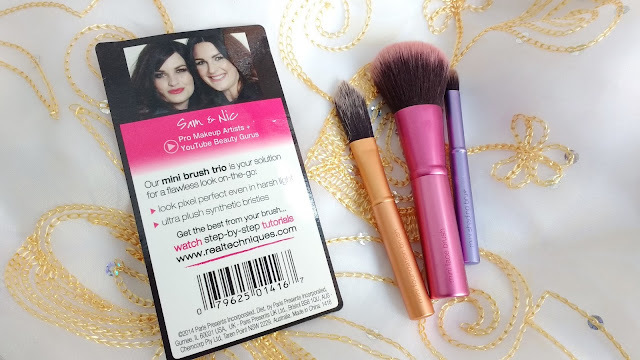 I dont use a flat brush to apply foundation, so this mini foundation brush was of least interest to me from the mini trio. Anyway the brush is too tiny for you to even consider applying full face liquid foundation with it. This brush should actually be named a 'Mini concealer brush' as you can at most apply concealer on the go with this, that is all. My least favourite brush from the mini trio. 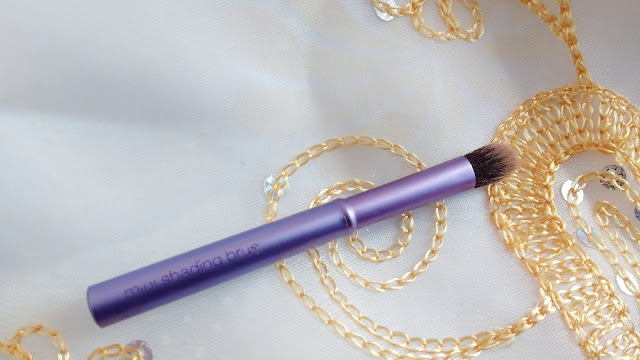 This purple eye brush does an amazing job of applying and blending eye shadows totally impressing me with its quality. The short shading brush is fluffy having dense bristles and I am using this a lot these days to create eye looks even when Iam not travelling. This brush serves the purpose that nicely! Overall I am totally in love with these three beauties which look cute but dont compromise on quality one bit. 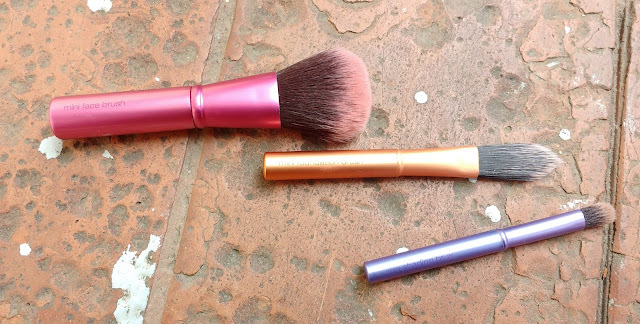 If you are a makeup junkie this kit is an absolute essential in your travel makeup bag.